General TV Channel / Thirteen Costa Rica Television, better known as Canal 13, is a public television channel in Costa Rica, founded and controlled by Sistema Nacional de Radio y Televisión SA, known as Sinart. It was founded on 15 of September of 1978 in San Jose, Costa Rica, with the name of Sinart Channel 13. The program is cultural style. 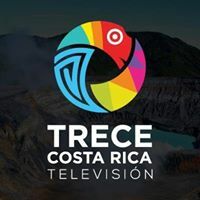 Monday 30 of October of 2017 , the channel changed its name to Costa Rica Thirteen Television, by reason of the change of corporate identity Sinart and all means.